生徒作品NO.1125☆オリジナルコース　香田あおいさんのブックから初めてのお洋服作り　☆　Making pullover for the first time with a design chosen from a famous dressmaking book. 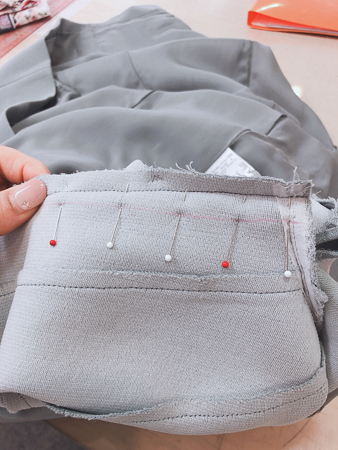 I have never experienced a dressmaking, but I want to be a person who can make clothes properly! This student gave me a polite message. And finally she finished making outfit for the first time after finishing the basic course. 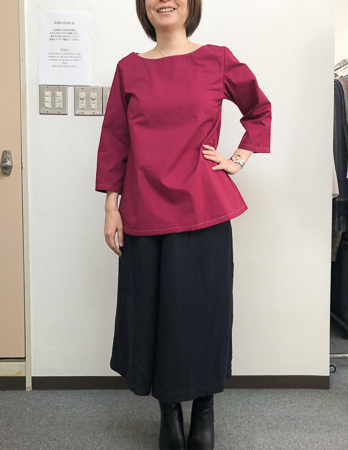 Using a simple pattern and making simple clothes. She looks very happy wearing her first handmede top! ! 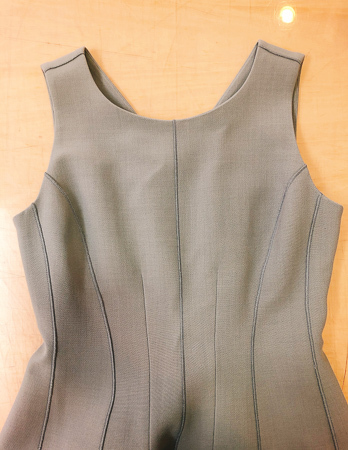 Making clothes on our original course using commercial patterns is it doesn’t fit your figure well. 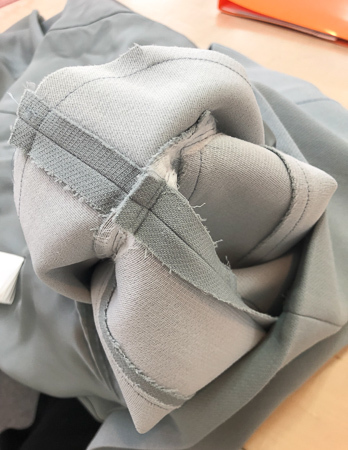 However, after this course students will go to our first grade course to make their own prototype, and then they will learn pattern drafting.They will be able to make clothes that fit you absolutely. By the way,this is how to adjust the dress everyone wants to know. 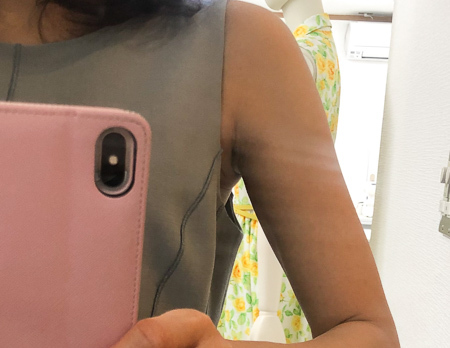 Although the method differs depending on the design of the dress, it can be fixed.This is how I fixed ready-made clothes a few days ago..
Ayou will be able to make clothes that fit you absolutely.